We interrupt this blog for important news. Turns out John Lennon wasn’t gay after all. So ease your fears, or hopes as the case may be. And thanks to the folks at Powerline for this incredibly important factoid. This entry was posted in Important Information and tagged beatles, john lennon, paul mccartney, rock music, rock stars by ponderpig. Bookmark the permalink. 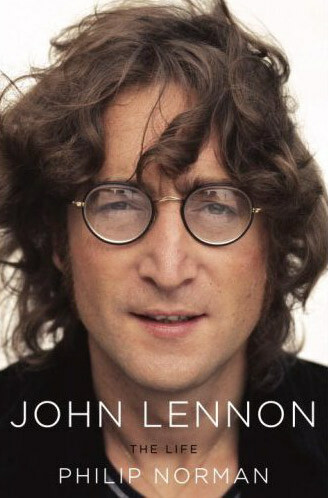 I’ve got a biography of Buddy Holly written by this Philip Norman fella and I’ve read snippets of this Lennon book. Frankly, I’ve found his writing tedious and overworked. I mean, really, how much can you say about someone’s life? In the case of Holly, it was sadly short. In the case of Lennon, everything down to his daily regularity has been over documented and exploited for years. Come on, Norman. Maybe that’s the next book. Philip Norman, the Non-Life. In hopes he’ll sell another book. Hey. What does Brer Greg think about this stuff? Enquiring minds wanna know??? he he – i think that’s the way the jibe went back in the sixth grade. Well, although I’m not a biographer on TV, I do play one in real life. That having been said, I have read a lot of biographies, especially during the past three years and while I have not always admired the presentation or result, I’ve always admired the biographer’s effort to attempt something that, as “Citizen Kane” so nicely points out, is essentially impossible. I think I have a definite advantage with the Chet bio because I have so many of his own words about his life – words beyond those he uttered for publication in dozens of books and magazine articles. Consequently, I’m writing an autobiographical biography of sorts, a hybrid. Leo asks, “Really, how much can you say about someone’s life?” Assuming he is not simply speaking about the millions of biographical words lining bookshelves, it’s a valid question. One of the first things I thought about when I began was that Chet’s public notoriety was neither widespread nor long- lived. He was in a spotlight for only five of his nearly 63 years and those five years had been pretty well documented. Which meant that more than 90% of his life was lived more or less uneventfully. Or was it? I guess you’ll have to read the book to find out? Thank you for this, appriciated!